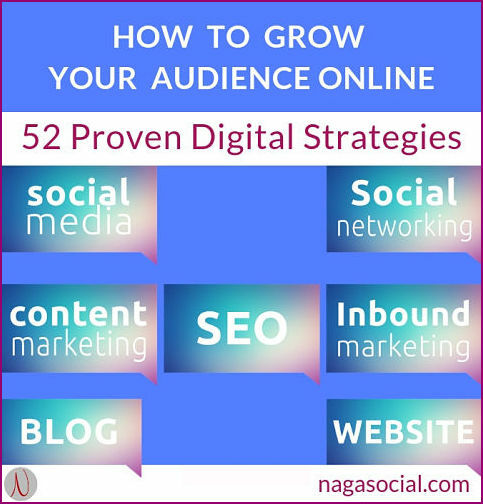 No longer wonder where to start and what to do to grow your audience online. 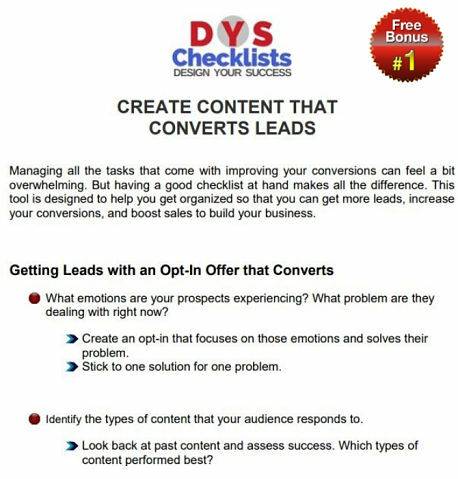 Discover which marketing efforts are not working, so you stop wasting time. 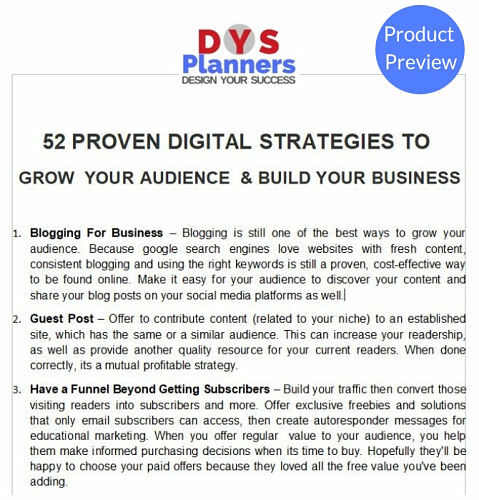 Have a tool to track your audience building goals on 25 different platforms including website visitors, social media, and your email subscribers. 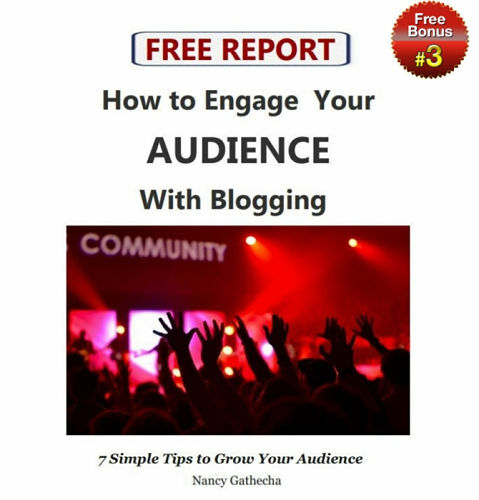 Have resources to create content that engages and converts your audience. 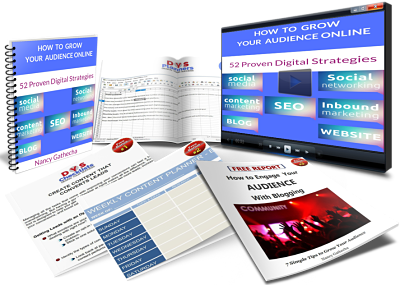 Excel spreadsheet to set and track your audience goals. 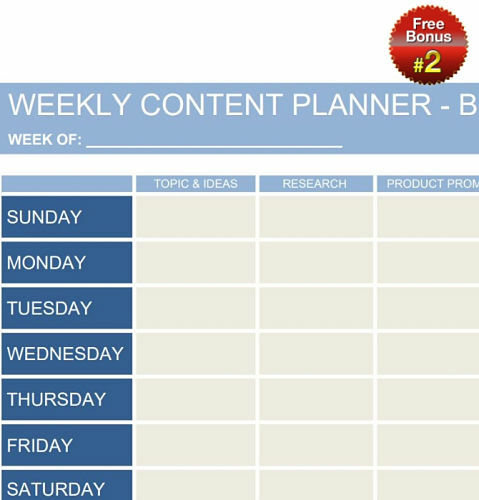 With a full year of detailed content ideas you can implement - one idea every week for 52 weeks. 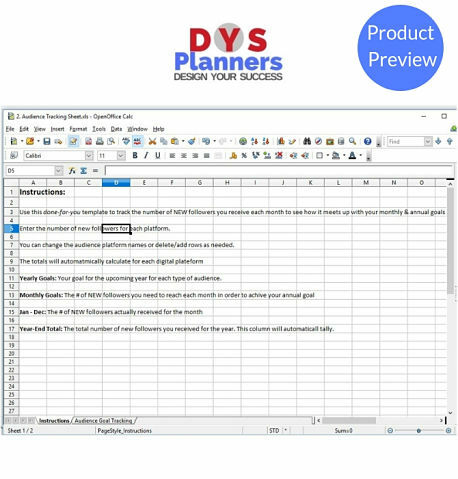 Formatted done-for-you spreadsheet to break down your big goals, track your milestones and see what's working.